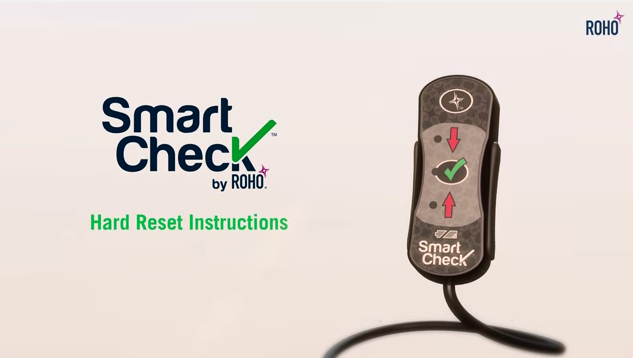 With Smart Check you have ROHO’s industry leading skin protection plus you get real-time feedback to ensure proper cushion inflation range with the push of a button. 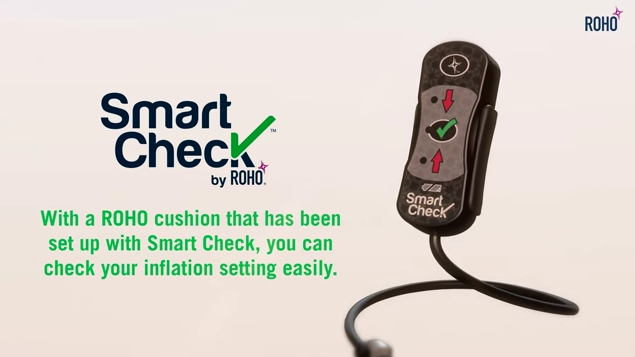 Smart Check is a tool to check and easily maintain your ROHO cushion and give you the ability to store your recommended ROHO inflation range. 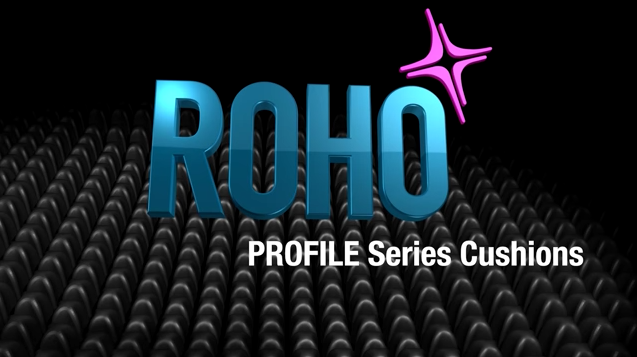 The ROHO HIGH PROFILE Single Compartment Cushion with Sensor Ready Technology is an adjustable, air-filled, cellular-design, wheelchair support surface that utilizes DRY FLOATATION® Technology and is intended to conform to an individual’s seated shape to provide skin/soft tissue protection and an environment to facilitate wound healing. 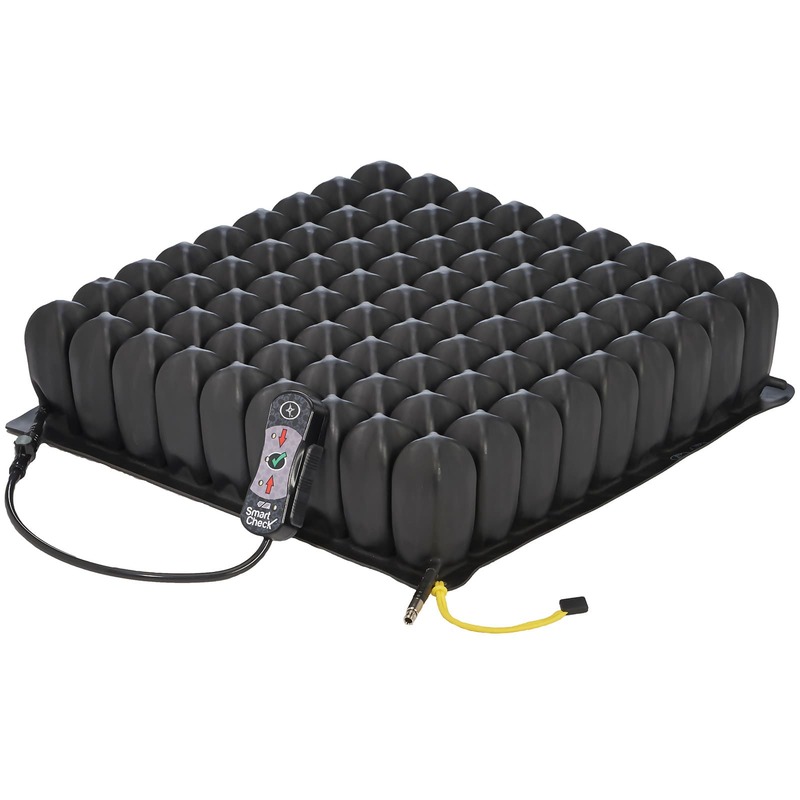 Construction Cushion: Flame-resistant, black neoprene made without latex; Standard Cover: Two-way stretch top with a non-skid bottom. Heavy Duty Cover: fluid resistant with non-skid bottom. 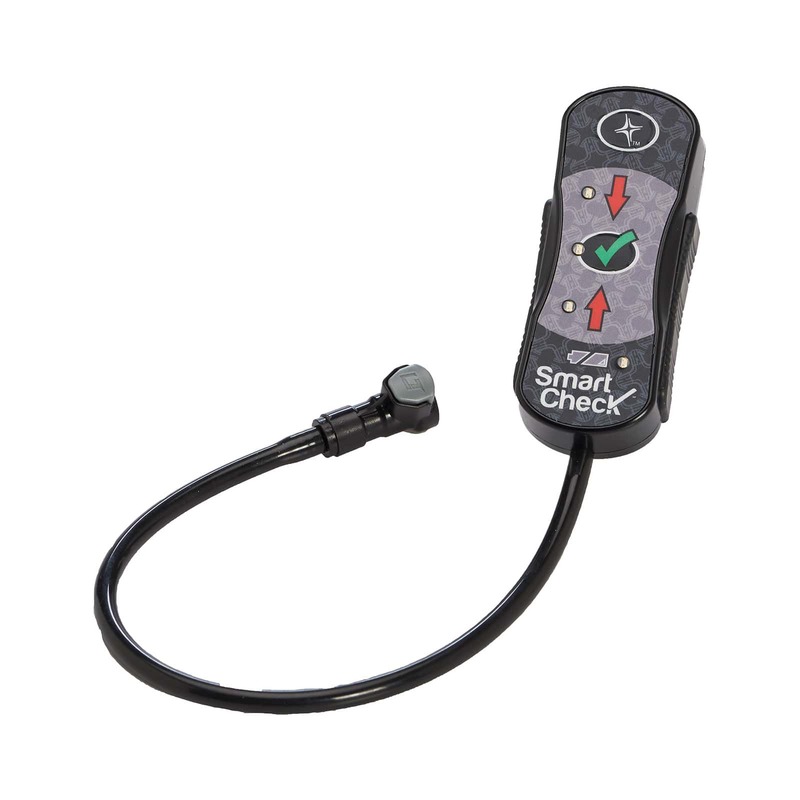 Includes HIGH PROFILE Sensor Ready Cushion, cover, hand inflation pump, repair kit, operation manual, product registration card. 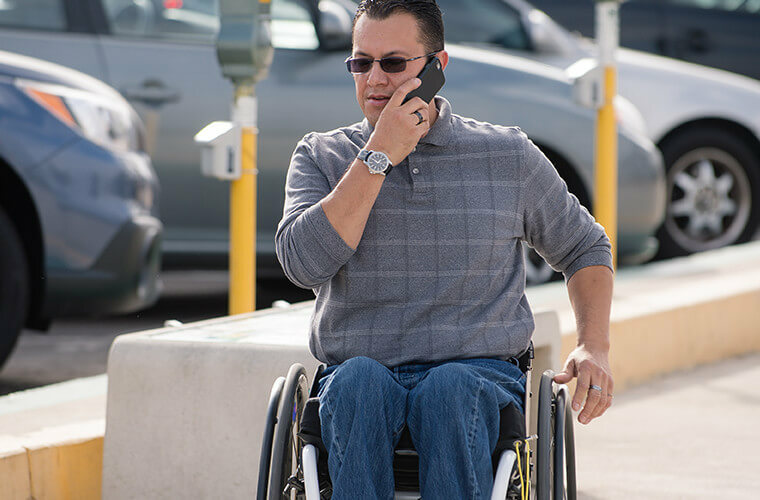 Heavy Duty Cover option available. 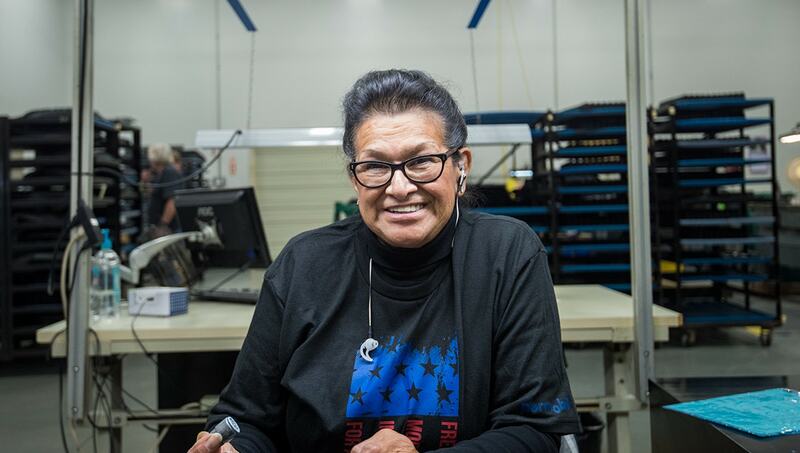 Warranty Cushion: 24 month limited warranty. Cover: 6 month limited warranty. 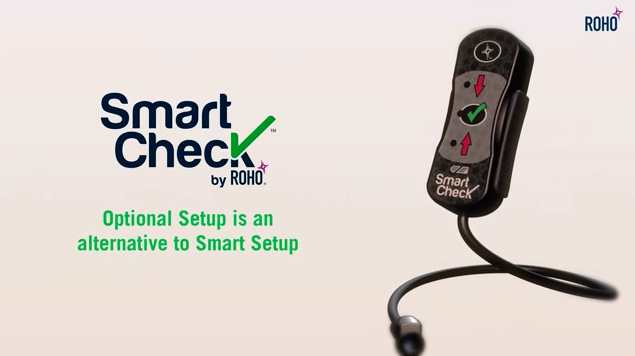 Smart Check: 24 month limited warranty.